Designed for non-technical operators, Triage-G2® will rapidly scan, extract, and analyze critical intelligence from computers and digital devices. 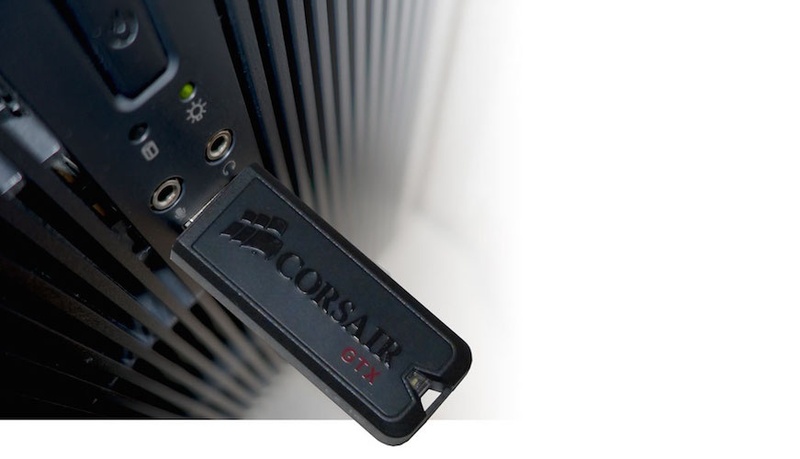 The tool can be deployed for reconnaissance on a small, portable USB key and does not require dedicated computer hardware. 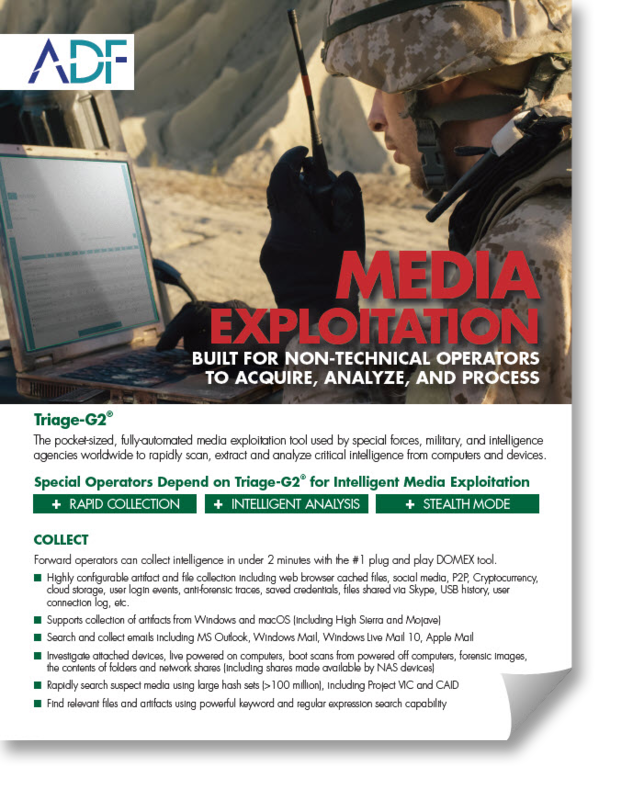 Special Operators Depend on Triage-G2Ⓡ for Intelligent Media Exploitation -- it's the pocket-sized fully-automated media exploitation tool used by special forces, military and intelligence agencies worldwide to rapidly scan, extract and analyze critical intelligence from computers and digital devices. Forward operators can collect intelligence in under 2 minutes with the #1 plug and play DOMEX tool. Highly configurable artifact and file collection including web browser cached files, social media, P2P, Cryptocurrency, cloud storage, user login events, anti-forensic traces, saved credentials, files shared via Skype, USB history, user connection log, etc. Use the single timeline view that combines files and artifact records with a user’s actions. 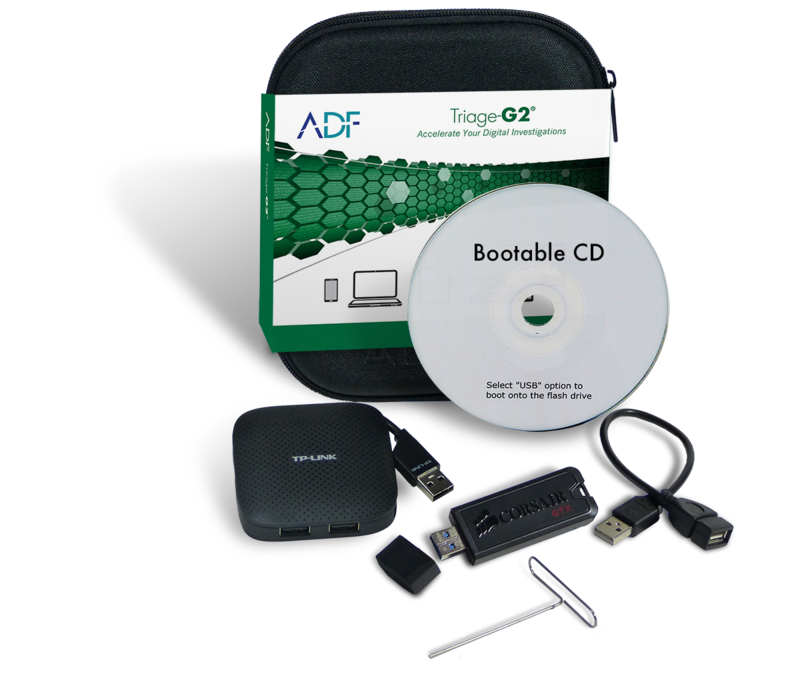 Triage-G2Ⓡ lets you create a standalone portable viewer for further analysis and reporting for military prosecutors and other investigators.